Summer is here and with that, we need a way to keep our kids cool but playing! 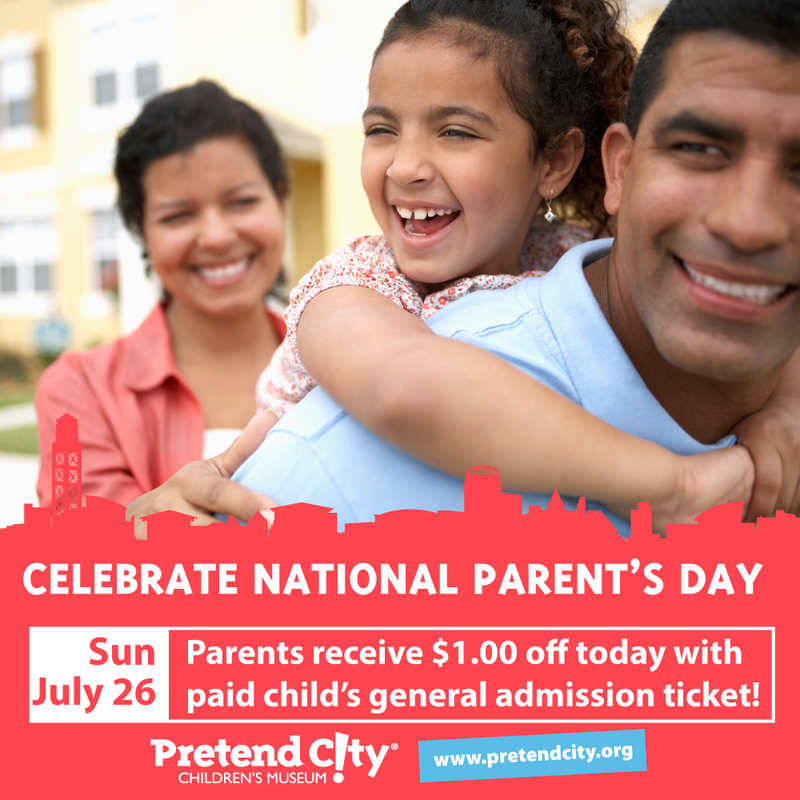 Check out what fun you can have all month long at +Pretend City Children's Museum ! 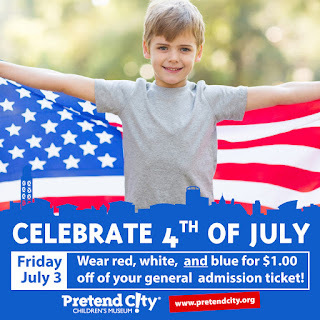 Friday, July 3: Celebrate 4th of July! Smart Art: Patriotic Cap – Red, white, and blue are in fashion today. Children will celebrate this special day by creating their own patriotic hat in the Art Studio. Simple Science: Pop, Fizz, Crackle! – Fireworks aren’t the only things that will be exploding this holiday. Join us for some cool science experiments that will get your children excited for the real things. Let’s Move: Red, White, and Blue Tag – Your little one will have fun collecting all the colored tokens in this active game. Sensational Story Time: The Night Before the Fourth of July is a fun book that captures all the fun, excitement, and pride of the best summer holiday! Join us at 4:50 in the Orange Plaza to show off your child’s stars and stripes as we proudly wave the U.S. flag through the city for our Independence Day Headin’ Home parade. Discount: Wear red, white, and blue for $1.00 off of your general admission ticket! Celebrate the Fourth of July with food and recipes that play up the colors red, white, and blue. Plus, learn to select healthy choices for picnic foods that children and adults will love. *Please make sure to note any allergies or dietary restrictions. 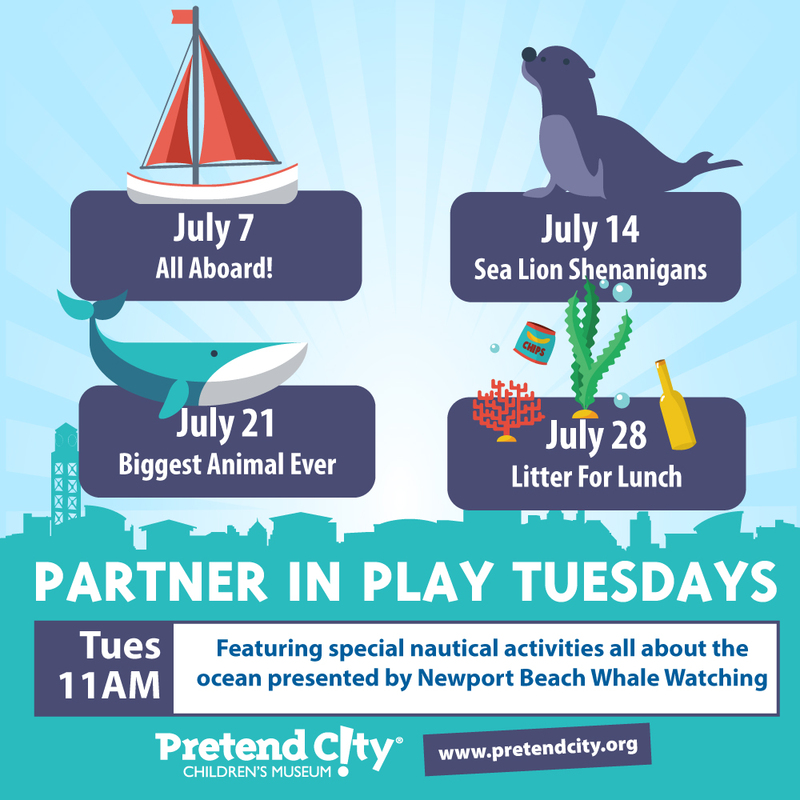 Tuesday, July 7: Partner In Play Day – All Aboard! Climb aboard for a journey along our California coast! This “boat” will take you above and below the surface to look at the undersea creatures which inhabit our coast with a special focus on whales. Children will get to grab a pair of binoculars to understand their use on the high seas while using their imaginations to spot various whales in the ocean. Real ocean artifacts will connect their imaginations to reality. Fun take home activities will let the learning continue! 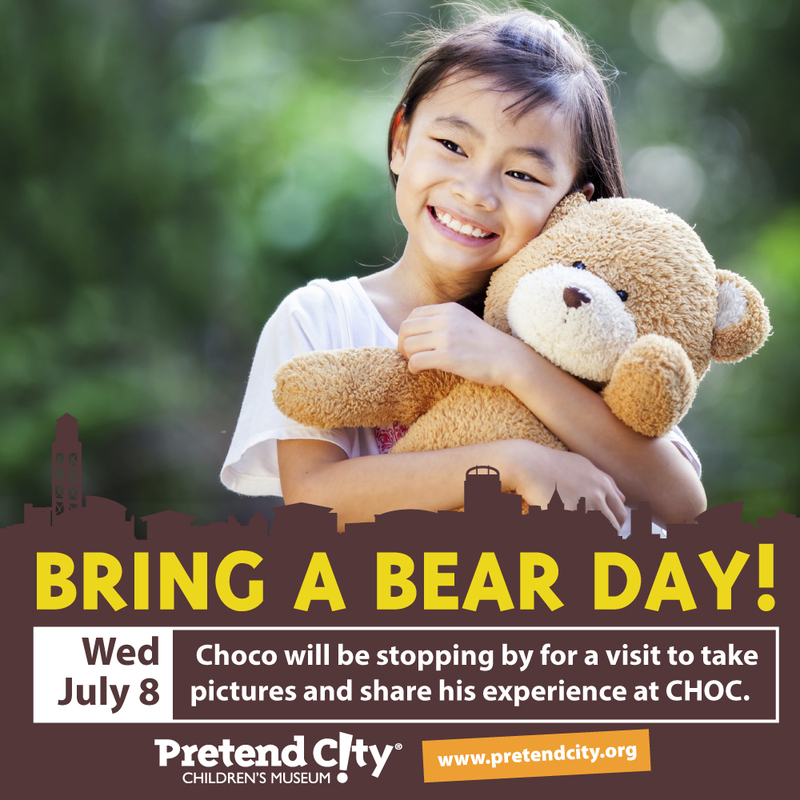 Wednesday, July 8: Bring a Bear Day! · Smart Art: Bear-y Cute. What type of bear-y cute bear will your little one decide to turn into? Children will learn about the different types of bears and then create their very own bear to become. · Partner In Play: Choco the Bear. 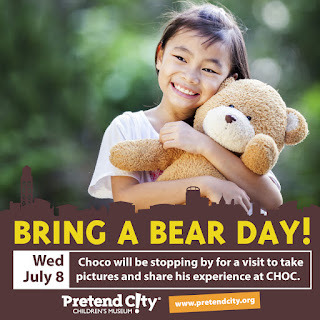 Choco will be stopping by for a visit to take pictures and share his experience at CHOC. · Sensational Story Time: The Teddy Bears’ Picnic – is a fun story and song that children will love to sing. A yummy teddy snack will make sure the picnic is complete! This special story time is focused on those adorable sea creatures that we see along the California coast – sea lions! This video and story presentation will share facts and a fun tale about these marine mammals. Children will even be able to take their photo with a life-size sea lion. If that wasn’t enough to continue the ocean learning fun at home, children will have the opportunity to create their very own sea lion mask. Specifically for: Children 3 - 7 (preschool & school age); Parents must remain on the premises. 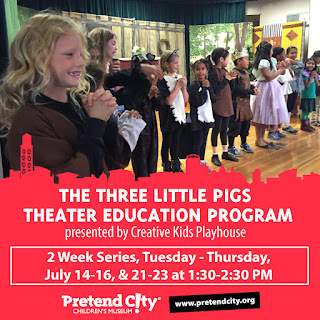 Musical Theatre helps children learn to express themselves, hone memorization skills, develop literacy skills, work as a team, and learn how to tell a story. And it is great fun for kids! 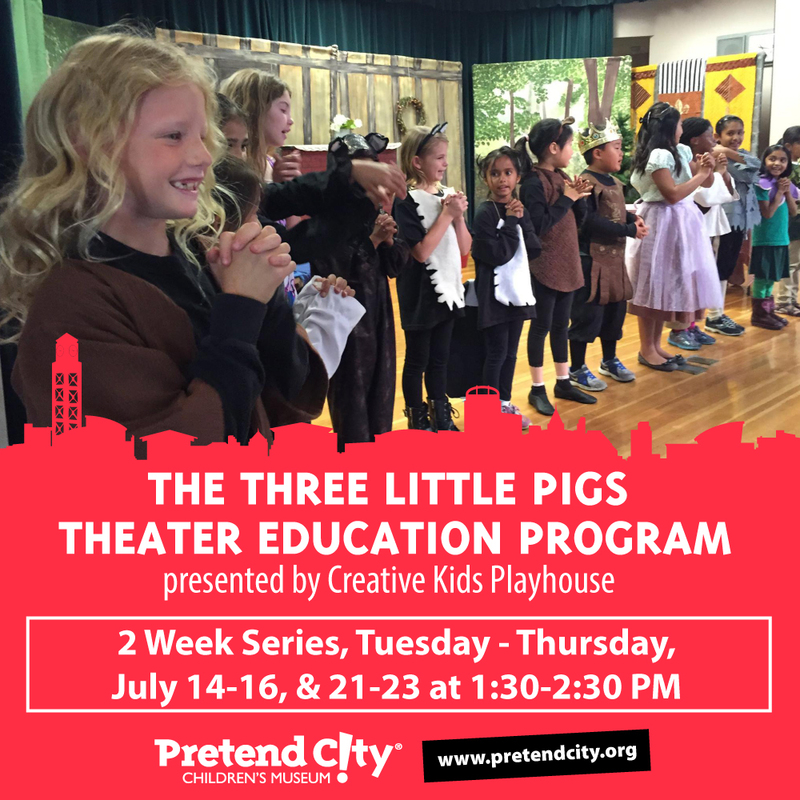 Register your child to be in the mini musical The Three Piggy Opera, a spoof of the classic folk tale The Three Little Pigs, and invite all of your friends and family to see the show. Your child will be so proud! Children will love being directed by experienced early child development and musical theater instructor Jennifer Estrada. Rehearsals will take place Tuesday through Thursday from 1:30-2:30 on July 14, 15, 16, 21, 22, and 23. It is highly suggested that performers are present each day. Fee: $134 for 2 week series (6 classes & show) includes all instruction, materials, a cast T-Shirt, rehearsal CD and major costume components. Sunday, July 19: Celebrate National Ice Cream Day! 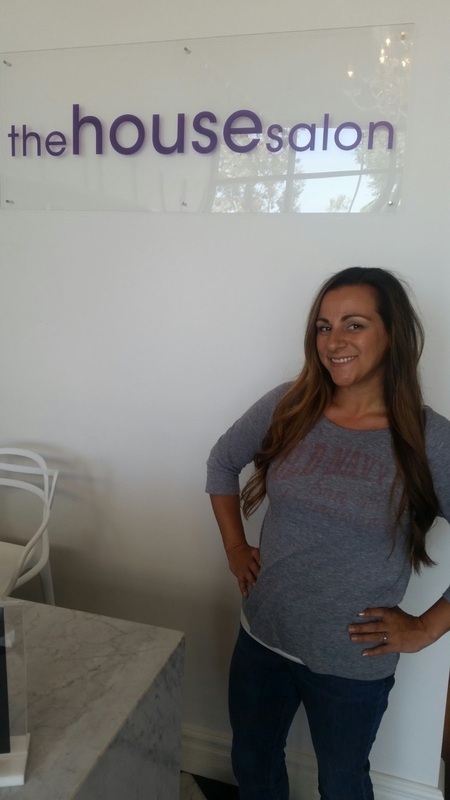 · Smart Art – Ice Cream Dough will be a sensory experience! Your children will get to mold and create with “ice cream” without the worry of it melting! · Café Creations – Ice Cream Cart fun will allow your child to create and sell their very own ice cream creations! · Math Matters – Taste Test is an especially fun kind of test your child will want to take again and again! Your child will have the opportunity to taste test a variety of flavors and vote for their favorite. Let’s see which flavor comes out on top! 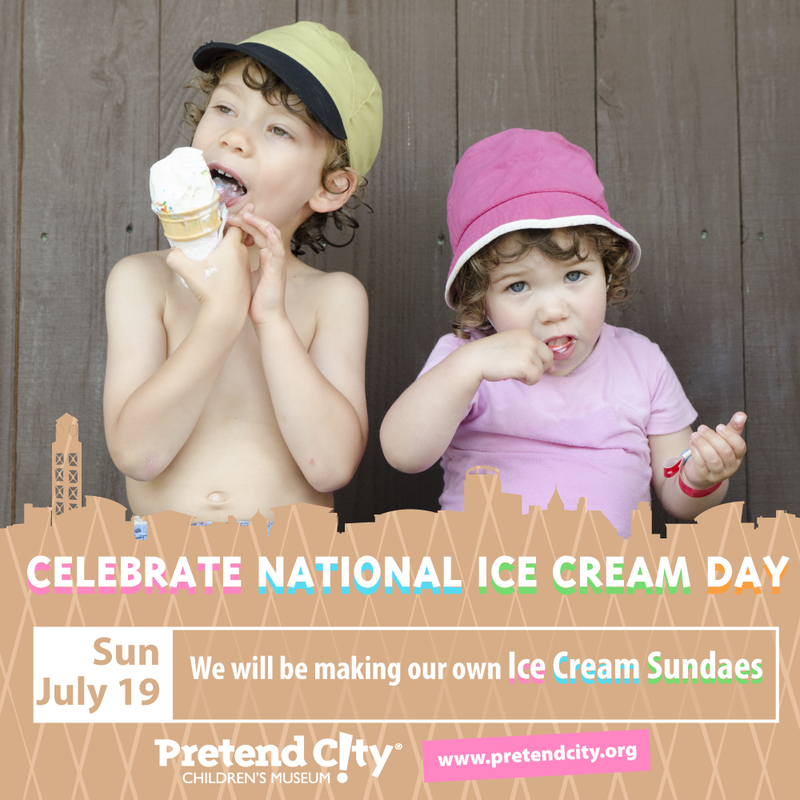 Sundae Funday - Create your own ice cream sundae. We have all the ingredients you can imagine! Summertime…and the living is easy—right? Well, not always. While we tend to expect a more relaxed lifestyle during summer, and the season definitely has its perks, summer can bring its share of unexpected stress. Child Development Pathways is here to help give grown-ups some insight into summer stressors. They will help grown-ups understand what stress is and how it can affect the family as a whole, but most particularly, the children. They will provide insight on the importance of relaxation and some tips to help keep grown-ups sane this summer. Everyone knows whales are large and in charge – but which whale is the biggest? Come find out during this interactive hands-on presentation. Children will not only explore this animal’s size but their body composition as well. A silly science experiment will get them talking all about blubber. They’ll have fun comparing and seeing how they measure up against one of the sea’s largest creatures. Sunday, July 26: Celebrate Parent’s Day! · Family Fun Fitness: Piggy Back Obstacle Course will delight your child and make them feel closer to you! Piggy-back rides can help to strengthen parent-child relationships and enhance attachment because they involve fun and physical closeness. · Growing Up Great Game: Move Like Me is a fun activity where you will have to move like your child, and they will have to move like you! This mirroring game focuses on eye contact, smiles, and laughs which promotes play and relationships. · Sensational Story Time: Only One You is a simple, yet powerful story about the lessons parents can teach their children. Your family will have fun creating your very own rock fish family to take home. Fee: Included with museum admission; Parents receive $1.00 off today with paid child’s general admission ticket! Trash doesn’t look like food! Or does it? Join us as we educate children about the various objects and models which can look like food to sea creatures. They will understand the importance of keeping our beaches clean and making sure to throw garbage away where it is supposed to go. 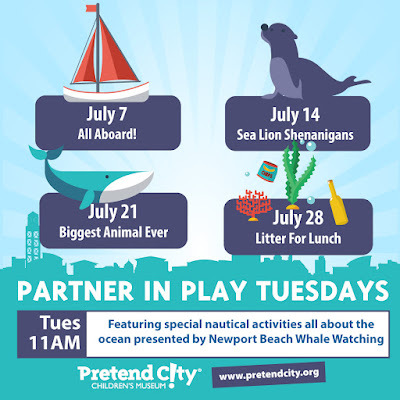 Children will even get to experience Pretend City’s own beach clean-up as they explore our trash interactive. Wednesday, July 29: Celebrate Harry Potter’s Birthday! · Smart Art: Harry Potter Art – Fly into the art studio where your children will delight in making their own Hedgwig or magical wand and creating their own version of Hogwarts Castle. · Nature Tales: Magical Creatures Scavenger Hunt - The magical creatures from the Care of Magical Creatures class have escaped and are lost in the city. Help us use the clues to find them! · Simple Science: Potions Class - One of the most popular classes at Hogwarts. This fun activity will make sure you have an ample supply of Gillyweed and Hippogriff Gizzards on hand! 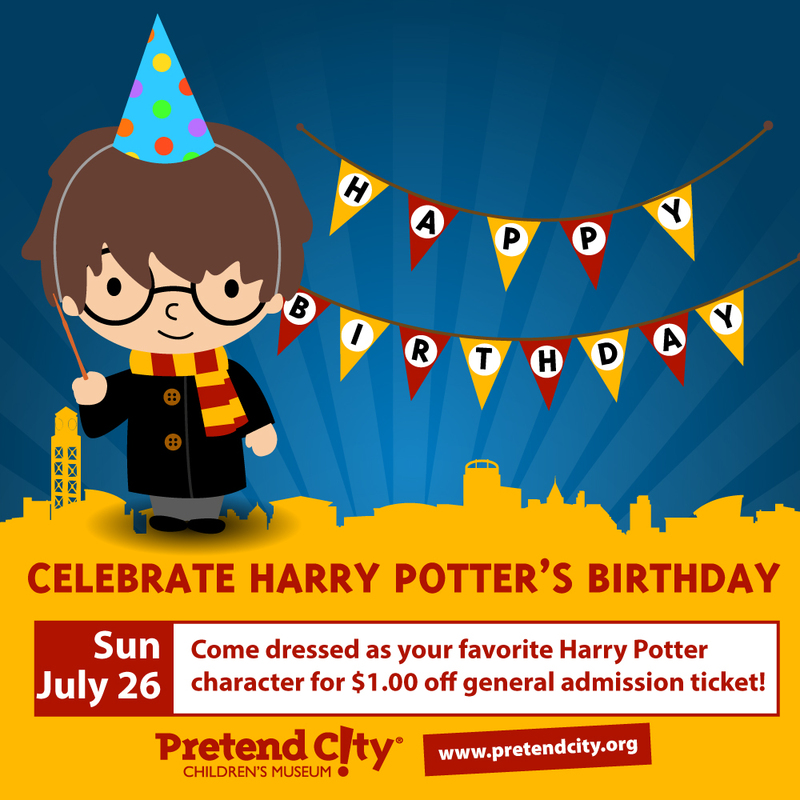 Fee: Included with museum admission; Come dressed as your favorite Harry Potter character for $1.00 off general admission ticket! Oh my I can not explain how excited I am that this is even happening! I hope I am there for this monumental event! I loved sharing these moments with my mom and I hope that I get to show my daughter the same magical feeling at the expo. We have been to Medieval Times in the last 25 years over 20 times. I have a few posts up about my love for the Castle and taking my own family recently. Check out the details below on Summer Fun while Celebrating our Independence with a Special Joust! 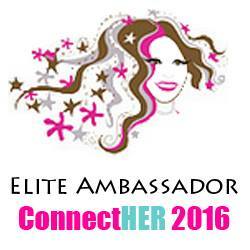 *Must mention or enter code J4WEB15 at time of purchase. Discount is valid only off of full-priced admission rates. Not valid with other discounts, offers, or group rates. Upgrade packages, tax, gratuity, and applicable fees are additional. Restrictions may apply. Valid only at the Buena Park location thru 7/5/15. Get your D23 tickets before the prices go UP! We have been to this expo 3 times now and will be going again this year! Can not wait to check out all the best Disney everything under one roof. Being a D23 Charter member - I can NOT wait. There are always special Merchandise Releases and items you can only purchase at the event! Check out all the details below and get your tickets fast before the price increases and or worse.. they sell out - See you there! Last Chance to Purchase D23 EXPO 2015 Discounted Tickets! The highly anticipated D23 EXPO 2015: The Ultimate Disney Fan Event returns to the Anaheim Convention Center August 14–16, bringing all worlds of Disney together under one roof, and offering Disney fans exclusive access to Disney films, television, and theme parks as only D23: The Official Disney Fan Club can! A limited number of discounted tickets are still available for purchase. Visit www.D23EXPO.com to buy yours before prices go up on July 1. · Disney, Pixar, Marvel, and Star Wars– This EXPO will be the biggest and best to date as D23: The Official Disney Fan Club brings interactive experiences to Disney fans this August. · Frozen FANdemonium: A Musical Celebration– The Oscar®-winning songwriting team of Kristen Anderson-Lopez and Robert Lopez takes fans on a once-in-a-lifetime musical journey through the world ofFrozen. · Disney On Broadway’s The Originals– Disney Theatrical productions presents an original concert featuring the stars of Broadway’s Aladdin, Mary Poppins, and Tarzan. · Walt Disney and Pixar Animation Studios– Previews of upcoming films such as Zootopia, Moana, The Good Dinosaur, and Finding Dory; Plus, a look the making of the Disney hit Aladdin. · Walt Disney Records– Disney Concerts and D23 present Disney In Concert: A Silly Symphony Celebration,featuring a live 32-piece orchestra. · Disney Channel– Center Stage musical performances by Sabrina Carpenter, Olivia Holt, and Bea Miller; a dance party with stars from Teen Beach 2; a sneak peek at Disney Junior’s upcoming The Lion Guard; meet-and-greets with beloved characters from top-rated preschool series Sofia the First and Doc McStuffins; the premiere of an all-new Mickey Mouse cartoon short, and more. · Walt Disney Archives Presents — Disneyland: The Exhibit– More than 300 classic and contemporary objects celebrating the 60th anniversary of Walt’s first theme park will be on display. · D23 EXPO Dream Store– A magical store featuring special logo apparel, product debuts, artist signings, collectibles, and more Disney-inspired items. · And much, much more not yet announced, including celebrity appearances, panels and presentations, sneak peeks, and unique experiences—all celebrating the past, present, and future of Disney. All opinions are my own. The PR release was sent to me with permission to share. 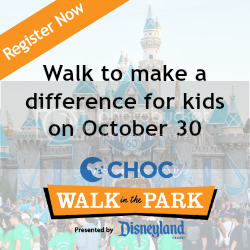 It's an exciting event with even more to show for it while walking the floor of Disney Fun! There is some serious beauty talent over at The House Salon - her name is Morgan Masters! 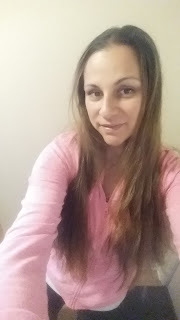 I can not even tell you, aside from the wedding I WAS IN a few months ago, when the last time I actually GOT MY HAIR DONE was!? When I saw the opportunity to check out The House Salon, I jumped on it. I have heard some really nice things about the decor, service and stylist herself. 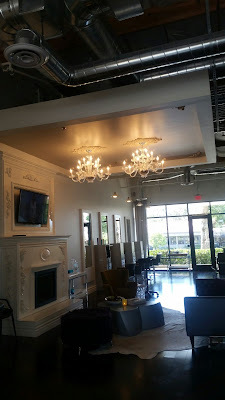 I walked into a totally comfortable yet super stylish salon with chandeliers and even a sort of lounge for those that accompanied you to the salon. It was fresh and spotless. Morgan greeted me with a smile and she is adorable with style. I knew she would rock my blow out! Here is my before pic - I have naturally wavy curly hair that has had it's fair share of color at home. Did I mention is was LONG?! We chatted a bit about life and kids and I found that she was super easy to talk to, as if I had been sitting in her chair for years... it was refreshing. Awesome shampoo and conditioner that smelled so fresh it was soothing for this tired mama. Oh, did I mention that I was alone, no kids... yes I know!! She did a blow dry faster than I have ever done one myself and my hair is super long and frizzy. I know nothing about hair and or how to style it so when she asked me... "Do you want waves, curls, loose curls..." I told her, "Yeah, I am not sure what most of those options are, so what do you think.. go for it and I am good lol"
Morgan used these products in my hair and it felt soft and light after the style! She went for it - and I loved it! I told her, "Seriously can you come home with me or come over every other morning and just rock this out super quick!?" ... she was cute and said sure. But, I was SERIOUS! Blow Out Success! Love Love Love IT! I will be back so soon... and not only for me...we chatted about what to do with my daughters hair that is longer than mine. 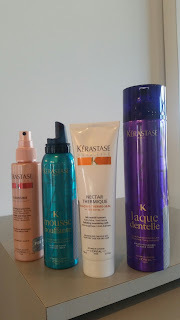 Hair fun - Its what summer is all about so that in winter you can nail it down. A quick tip before I go: Morgan says that we should think about a partial when dying hair in summer time since most of the time we are pulling it back out of the heat or in the pool... then for winter swap it up. I like it! Saves money, time and its just plain true. Morgan is awesome. 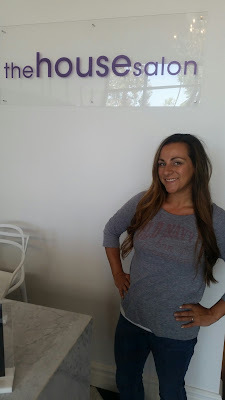 She knows her stuff, is easy to talk to about hair, life and whats new and the girl just rocked out my long frizzy hair in no time! 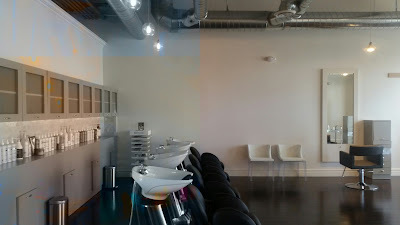 See you soon Morgan and Hope you all go and check her out for any of your hair care love. PS: She was so cool and just real she even sent me her price list. What you see is what you get with this girl. No games just hair and passion for it! 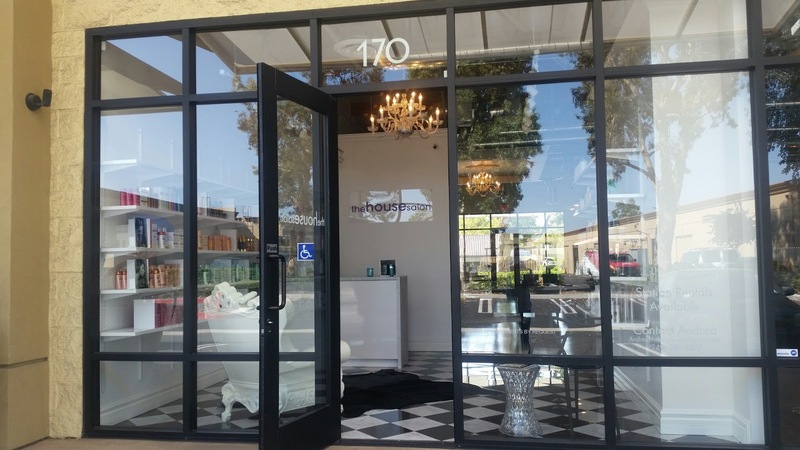 You can see all her prices and even book an appointment on her StyleSeat Page ! See more info about Morgan and all her styles on her Instagram and on her Facebook . *All photos and opinions are my own. Morgan offered me a courtesy blow out that I loved and owuld return for in the future. Thanks for reading!